In 1945, in Jersey, Channel Islands, the widow Grace Stewart (Nicole Kidman) lives in a lonely old house with her daughter Anne and her son Nicholas. Grace lost her beloved husband Charles in the World War II and their children are photosensitive and Grace keeps the curtains and the doors closed to protect Anne and Nicholas against the sunlight. Grace raises her children with strict discipline and following religious principles. Grace hires the strange housekeeper Mrs. Bertha Mills, the mute maid Lydia and the gardener Mr. Edmund Tuttle that have asked for a job. Out of the blue, mysterious things happen in the mansion while Anne claims that there is a boy named Viktor that visits them. Grace unsuccessfully seeks out the intruders until the day she has a revelation about the house and its intruders. . 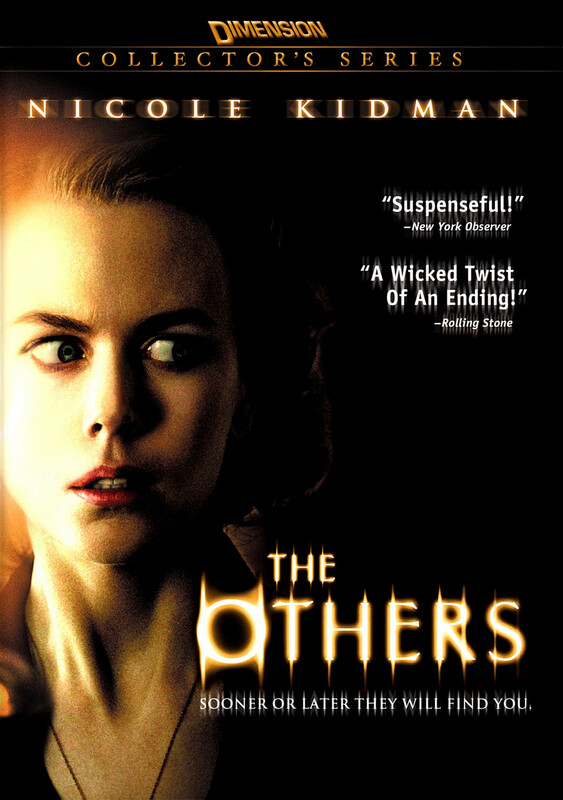 This entry was posted in Drama, Horror, Mystery and tagged Alejandro Amenábar, Drama, horror, mystery, Nicole Kidman. Bookmark the permalink.